This August, Team USA will be headed to the 2016 Rio Olympics with over 500 athletes across 42 Olympic sport disciplines. 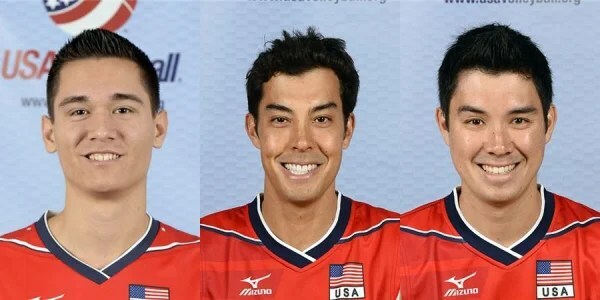 Of these athletes, over 30, competing in a variety of sports including swimming, fencing, table tennis, and volleyball, identify as Asian American. Below are 10 Asian-American athletes to watch during the Rio Olympics. Keep their names in mind, as there’s a good chance that some of them will be leaving Rio with new medals. Born to a Greek father and a Taiwanese mother, San Francisco native Alexander Massialas is poised to win a medal at the Rio Olympics this year. Currently ranked the number one male foil fencer in the world, Massialas was also the youngest male member of the 2012 U.S. Olympics team. 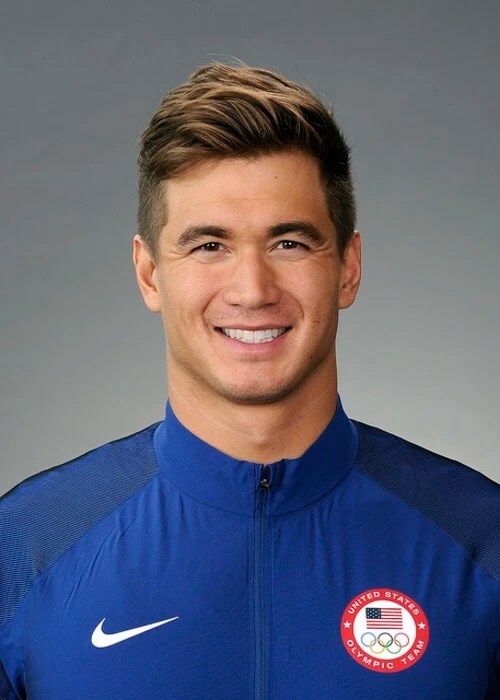 He comes from an accomplished fencing family — his father Greg was a three-time Olympic fencer and his younger sister Sabrina was the first U.S. fencer to ever win a Youth Olympic Games gold medal. Massialas is currently a student at Stanford University and majors in mechanical engineering. He can speak Mandarin and attended the Chinese American International School as a child. 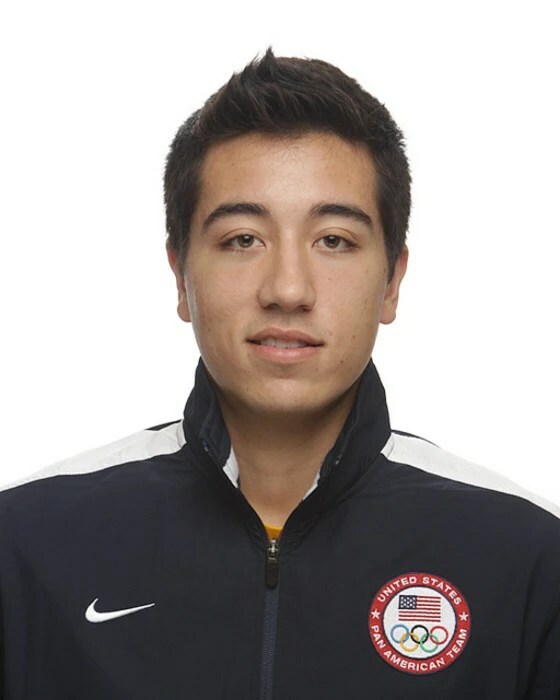 Like Massialas, Gerek Meindhart is also a Taiwanese-American fencer. The two are good friends since Meinhardt’s mother Jane was primary school classmates with Massialas’ mom Vivian, and it was Vivian’s suggestion to have Meinhardt join the fencing club. While both of Meinhardt’s parents were architects and not fencers, Massialas helped coach Meinhardt for competition. In the past, Meinhardt also played basketball. His sister Katie played the sport at Boston University (BU) and still holds the BU record for most points in a game. Meinhardt recently received an MBA from Notre Dame and works as a Deloitte consultant when he isn’t competing in the games. 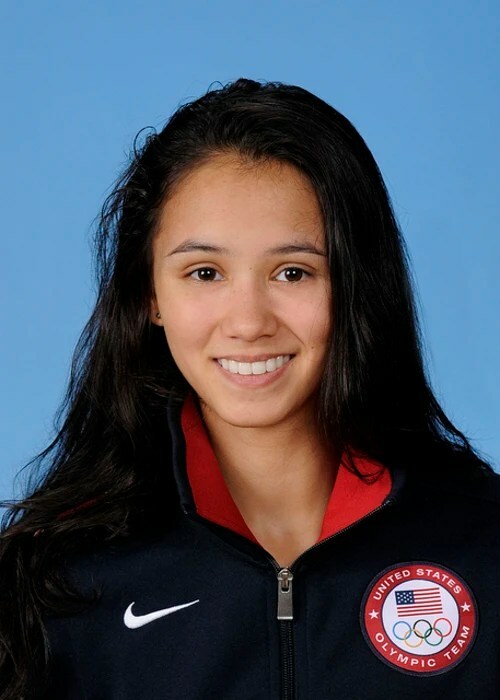 Filipino-American fencer Lee Kiefer is currently ranked third in women’s foil and was the first athlete to ever win seven consecutive individual titles at the Pan American Championships. Fencing also runs in the family — she is the daughter of a former Duke University fencing captain and has a sister Alex and brother Axel who also compete. Kiefer is currently a senior pre-med major at the University of Notre Dame. Her father Steve is a neurosurgeon, her mother Teresa is a psychiatrist, and her older sister Alex is a Harvard pre-med student. This three-time Olympic swimming gold medalist will be back in 2016. In this year’s Olympics, Adrian will compete in the 50 meter and 100 meter freestyle events. Adrian is in a good position to defend his Olympic gold medal in the 100m, as he finished first place in that event at the U.S. Olympic Trials. This Bremerton-born athlete is half-Chinese and was honored at the Robert Chinn Foundation‘s Asian Hall of Fame. Adrian majored in public health and graduated with honors from UC Berkeley in Spring 2012. After he retires from competitive swimming, Adrian has expressed interest in becoming a doctor. Paige McPherson is an Olympic taekwondo competitor of Filipino and African-American descent. McPherson, who won a bronze medal in the women’s 67 kilogram taekwondo event in 2012, will return to compete in Rio. While McPherson grew up in Sturgis, South Dakota, she comes from what she likes to call a “rainbow family.” McPherson is one of five adopted kids in her family — she has a Korean brother, a St. Lucian little sister, and two Native American siblings. McPherson attended Miami-Dade College and continues to train primarily in Miami. After the 2015 Pan Am Games Team Trials, McPherson got the chance to meet her biological brother. Once the Rio Olympic Games come to a close, McPherson hopes to meet more members of her biological family. 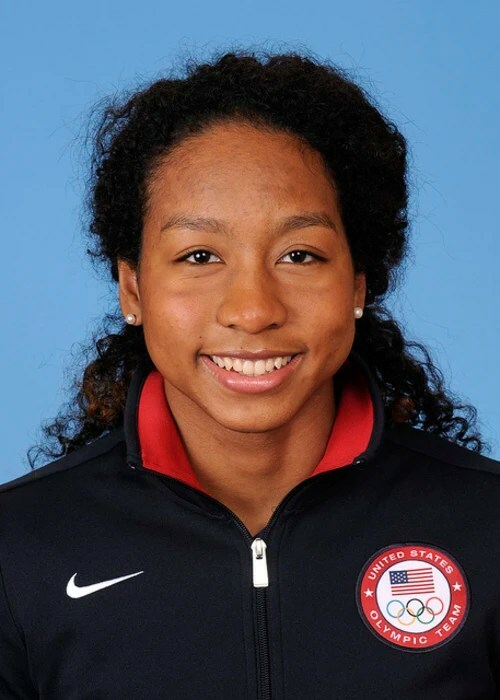 Olympic swimmer Lia Neal identifies as both African American and Chinese American. Neal celebrates all Chinese holidays, and went to a Chinese pre-school program — which is why she speaks Cantonese and has studied Mandarin for years. This Brooklyn native won a bronze medal at the London Games in the 4 by 100-meter freestyle relay with Missy Franklin, Jessica Hardy, and Allison Schmitt. 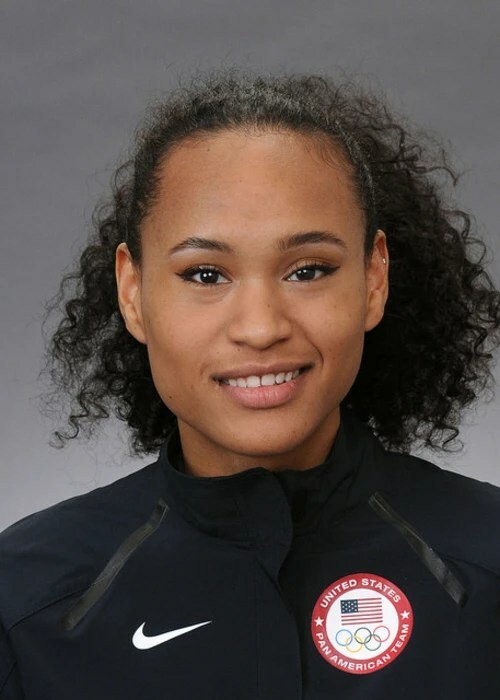 This year, Neal came in fourth during the 4 by 100 freestyle Olympic trials, allowing her the fourth spot in the 4 by 100-meter freestyle relay team. Neal is currently a Stanford University student, and her classmate Simone Manuel also made it onto the Olympic swimming team. This makes it the first time two Black female swimmers will swim simultaneously on the U.S. Olympic team. 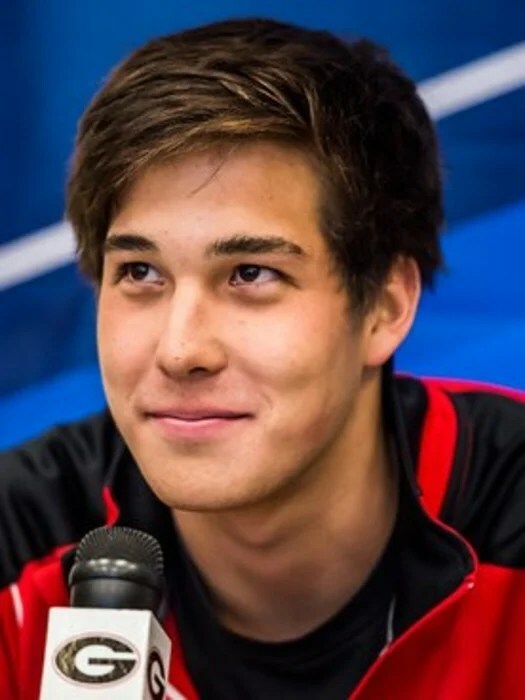 Jay Litherland is an Olympic swimmer majoring in business at the University of Georgia. He’s also a triplet – and has triple citizenship in the U.S., Japan, and New Zealand. He can speak Japanese and started swimming at the age of 8. 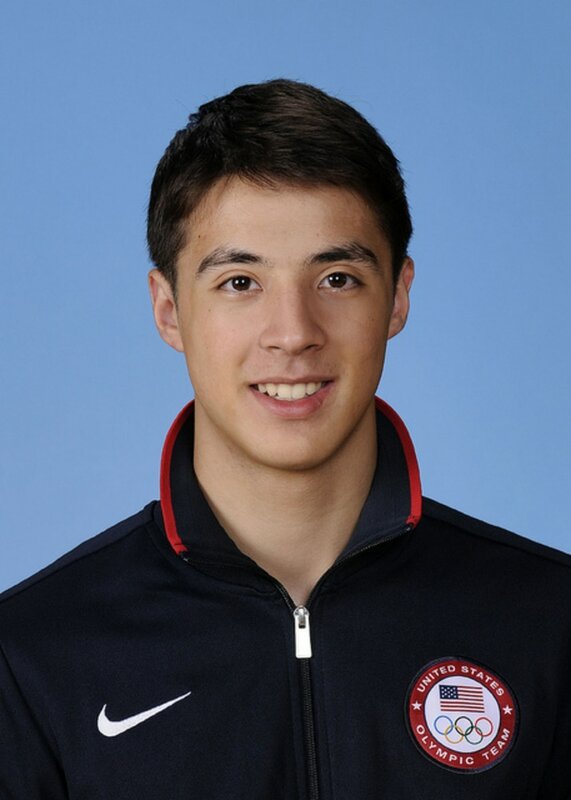 At this year’s U.S. Olympic Team Trials, he managed to finish second in the 400 meter individual medley. Litherland won the second of two U.S. Olympic spots in the event, eking out the defending Olympic gold medalist, Ryan Lochte, by approximately a second. This will be the first time he will be attending the Olympics. He previously competed in the U.S. Olympic Trials in 2012. Erik and Kawika Shoji are brothers — and both will be at the Rio Olympics in the U.S. Men’s volleyball team. The Honolulu-born pair both attended Stanford University and played on the volleyball team when they were there. Their father Dave has coached women’s volleyball at the University of Hawaii for more than 40 years, while their mother Mary played basketball at the same university. Kawika is currently a member of Turkish club Arkas Izmir, while Erik Shoji plays for German club Berlin Recycling Volleys. Additionally James Jean’s work with Beats by Dre combines street and sophistication upon its upcoming product. You can expect the Beats by Dre x James Jean Solo² to release on December 30. In the first look photo (above), it appears Chau will appear in a flashback from Louis’ less successful early days. The series, set in 1995, revolves around 11-year-old, hip-hop-loving Eddie Huang (Hudson Yang) whose family has just moved from Washington, D.C.’s Chinatown to suburban Orlando, Fla., so that the family patriarch Louis (Park) can follow his American dream of opening a Western-themed restaurant. ABC renewed the sitcom for a second season ahead of its Upfront presentation in May, along with fellow freshman comedies “black-ish” and “Galavant” (starring Karen David). “Fresh Off the Boat” will return for Season 2 on Tuesday, Sept. 22 at 8:30 p.m. ET on ABC. New Hornets guard Jeremy Lin says he had trouble convincing a security guard that he’s an NBA player when he showed up at the team’s Charlotte arena. A Hornets spokesman said the team didn’t have any comment. 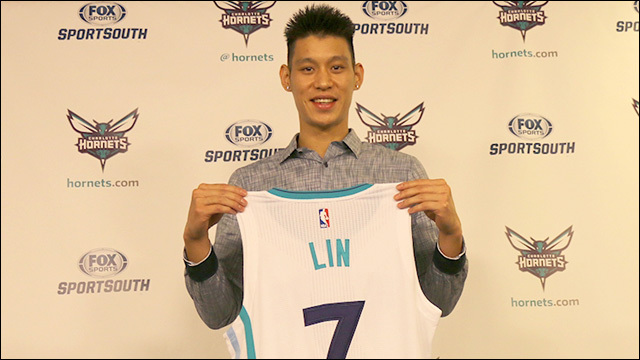 The 6-foot-3 Lin signed with the Hornets in July. 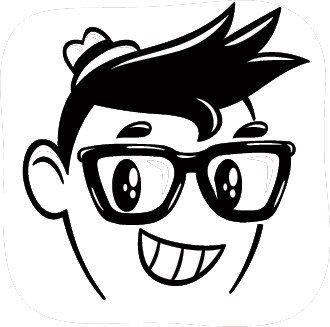 Categories: Links, Musings, News, Photo, Sports	Tags: Asian, Asian American, basketball, Charlotte Hornets, Chinese, Hornets, Jeremy Lin, Linsanity, NBA, Taiwanese, Taiwanese American. Members at an Adidas gym were in for a surprise when a trolling Jeremy Lin in a fat suit and beard came in to give them the worst possible workout advice ever. Lin, along with Taiwanese celebrity Vanessa Wu, prove they can be the worst (and most entertaining) personal trainers you’ve ever seen. In a culture that’s been relatively dominated by a heterosexual male narrative, Hip Hop has been a hard place for women–let alone Asian American women–to truly dominate. As raptivist Aisha Fukushima once described to me, booty, bullets, and bling have countlessly been glorified by male rappers. I mean, take Big Sean’s “Dance (a$$)” for example. It’s blatantly written in the title. But don’t give up on hip hop just yet! We have a list of strong Asian female emcees who are still under the radar but counter that male-driven narrative. Of course, they also prove women can keep it one-hundred. This thought-provoking, powerful spitter and Bay Area-native started out as an accomplished journalist before dedicating herself to her musical craft. Hailing from Saigon, Vietnam, Suboi stands as the country’s number one female emcee and Queen of Hip Hop. Not to mention, she became the first Vietnamese artist to perform at SXSW. Don’t be fooled by the comedic moniker! Akwafina’s tongue-and-cheek lines have been embraced by countless other women and celebrated as something good for feminism since her song, “My Vag,” went viral. This emcee is a lecturer for an international college during the week, a rapper by weekend, and a full-time mother. With a full plate like that, Yacko still manages to be recognized as one of Indonesia’s most respected emcees. This Taiwanese American emcee made the move from New York to Taiwan where she garnered a government grant to produce an album; however, all production was halted after an almost-fatal accident. After 2 years of healing and an album later, Miss Ko became the first female rapper to have a No. 1 album in Taiwan. She may be fun-sized, but her raps will knock you out! Also a Bay Area local, Ibarra has started gathering national attention and is known for melding together English and Tagalog into her flows. Yurika isn’t a stranger to the rap scene in Tokyo, she’s the emcee who’s spearheading the next generation of rappers in Japan. With her cuteness and juxtaposing hard flows, she caught the attention of the Dream Boy label and became their most recent signee. As warmer weather inches towards us, adidas is set to cover all athletes with protective, breathable layers for warm weather. Incorporating direct insights from premier players like Gareth Bale and Jeremy Lin as well as its own Future Sport Science lab, adidas debuts the re-designed Climachill apparel line. For shirts, the Climachill shirts are equipped with industry-leading 3D aluminum cooling spheres that provide a chilling sensation on contact to the warmest areas of the body. The line is also designed with SubZero flat yarn, which is woven with titanium to molds to the body’s form and transfer an increased amount of heat away from the body. The campaign for Climachill launches with the above video, which finds everyday athletes channeling their inner superstars in heated situations. Check out the video above and head to adidas’ site to peruse the collection. Categories: Uncategorized	Tags: 2015 Spring/Summer Collection, Adidas, apparel, Asian, Asian American, athletes, athletic wear, basketball, Climachill, design, fashion, Gareth Bale, Jeremy Lin, menswear, sportswear, Taipei, Taiwan, Taiwanese, Taiwanese American.